The Senior Art Exhibition, Field of American Dreams: A Journey Through the History and Culture of Baseball,and Propaganda Posters of the Spanish Civil War are featured in the Daura Gallery. 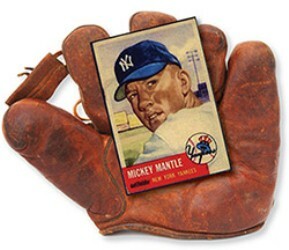 An exhibition on the social history of baseball in America, curated by students enrolled in Museums in the Public Dimension capstone course, and borrowing from the baseball memorabilia collection of LC faculty and staff. Posters from Spain’s fight against fascism in the 1930s, curated as a capstone experience by museum studies students Stuart Hendricks ’13 and Gibb Zea ’13. Opening reception April 15, 4-5 p.m.
An exhibition of thesis projects by senior graphic design and studio art majors, as well as juried selections of works by students in art courses during the 2012-13 academic year. Opening reception April 23, 4-5 p.m.